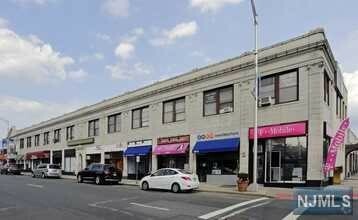 286-302 Main Street, Hackensack, NJ 07601, U.S.A. Copyright © 2019 CENTURY 21 Semiao and Associates. All rights reserved. The data relating to real estate for sale on this Web site come in part from the Internet Data Exchange program of the NJMLS. Real estate listings held by brokerage firms other than CENTURY 21 Semiao and Associates are marked with the Internet Data Exchange logo and information about them includes the name of the listing brokers. Some properties listed with the participating brokers do not appear on this Web site at the request of the seller. Listings of brokers that do not participate in Internet Data Exchange do not appear on this Web site. Listings located outside the geographic service area of CENTURY 21 Semiao and Associates do not appear on this Web site. All information deemed reliable but not guaranteed. Last date updated: 4/25/2019 Source: New Jersey Multiple Listing Service, Inc. © 2019​ New Jersey Multiple Listing Service, Inc. All rights reserved. All information deemed reliable but not guaranteed.Century 21® and the Century 21 Logo are registered service marks owned by Century 21 Real Estate LLC. CENTURY 21 Semiao & Associates fully supports the principles of the Fair Housing Act and the Equal Opportunity Act. Each franchise is independently owned and operated. Any services or products provided by independently owned and operated franchisees are not provided by, affiliated with or related to Century 21 Real Estate LLC nor any of its affiliated companies. CENTURY 21 Semiao & Associates is a proud member of the National Association of REALTORS®. This document was printed from the Web site of CENTURY 21 Semiao and Associates (www.c21eudan.com).